One-Piece:Using 3D printing technology for one molding. 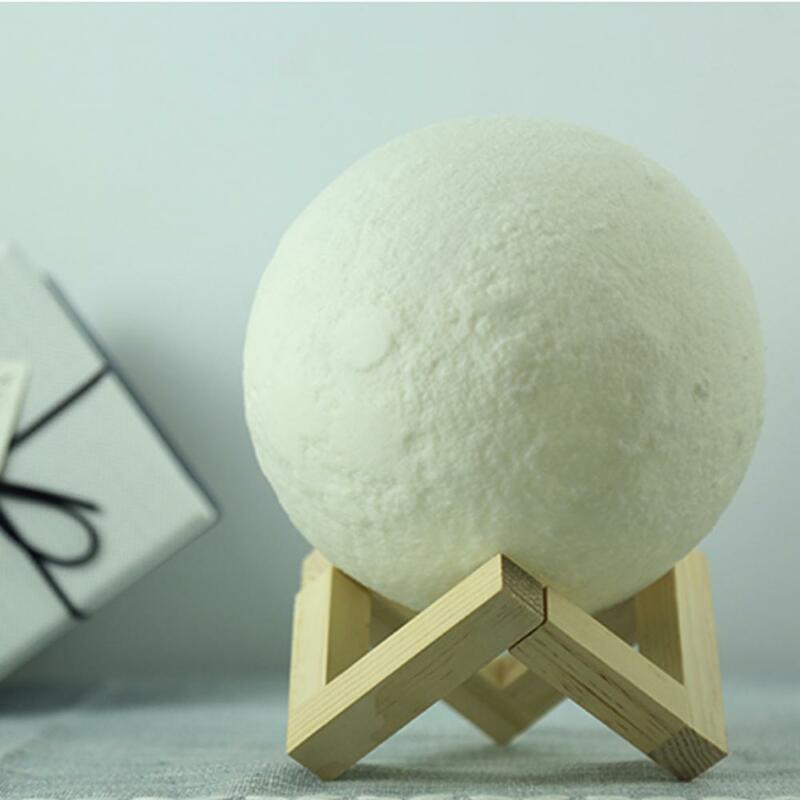 Environmentally friendly materials:PLA material extracted from corn stalks, hard and smooth, non-toxic, odorless, can be degraded. 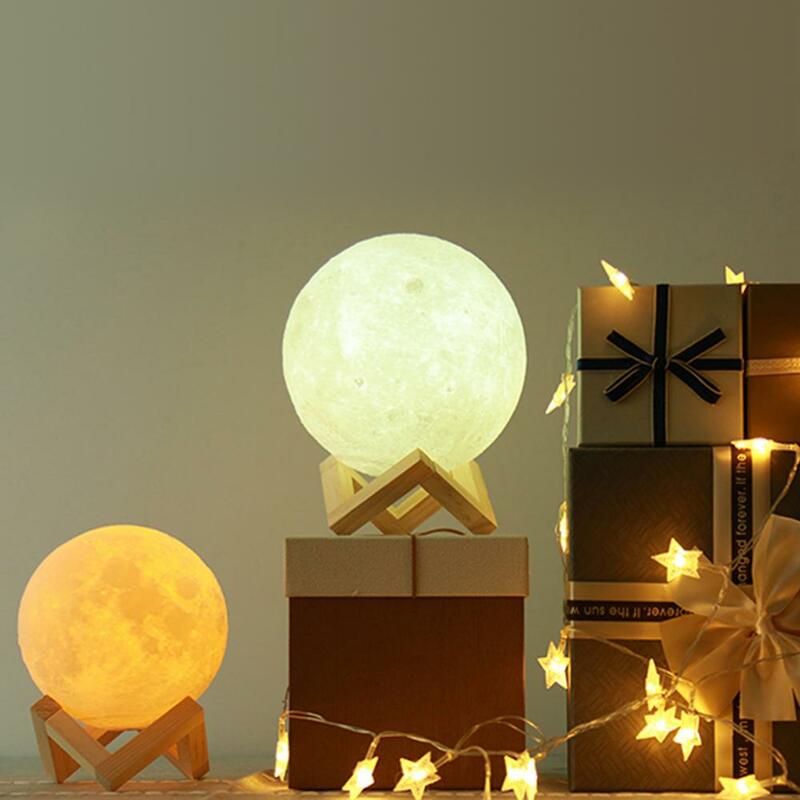 Warm tone and Cool tone:Using of a unique digital stepless dimming technology, touch lamp to adjust the light and brightness.Short touch switch lamp and change yellow or white color. 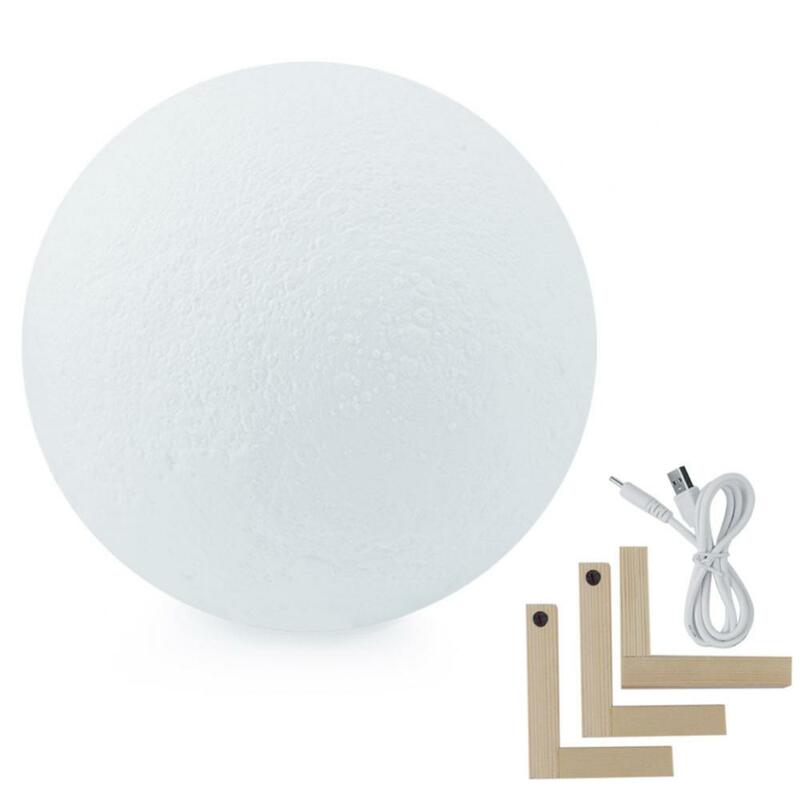 Long touch switch brightness bright or dark. 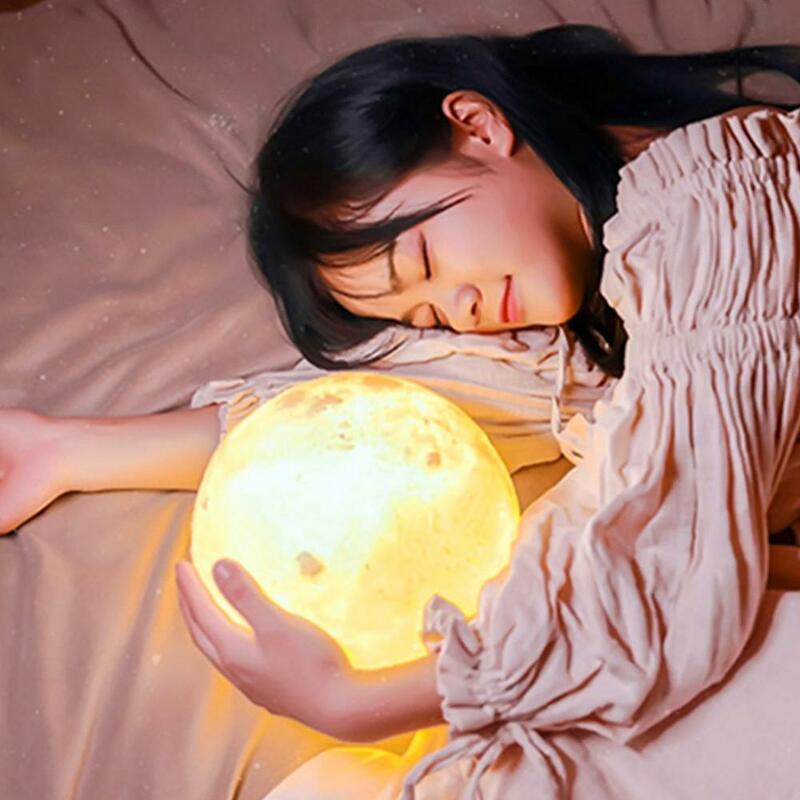 Precise duplicate:Taking example by NASA satellite data to restore the real appearance of the surface texture of the moon. 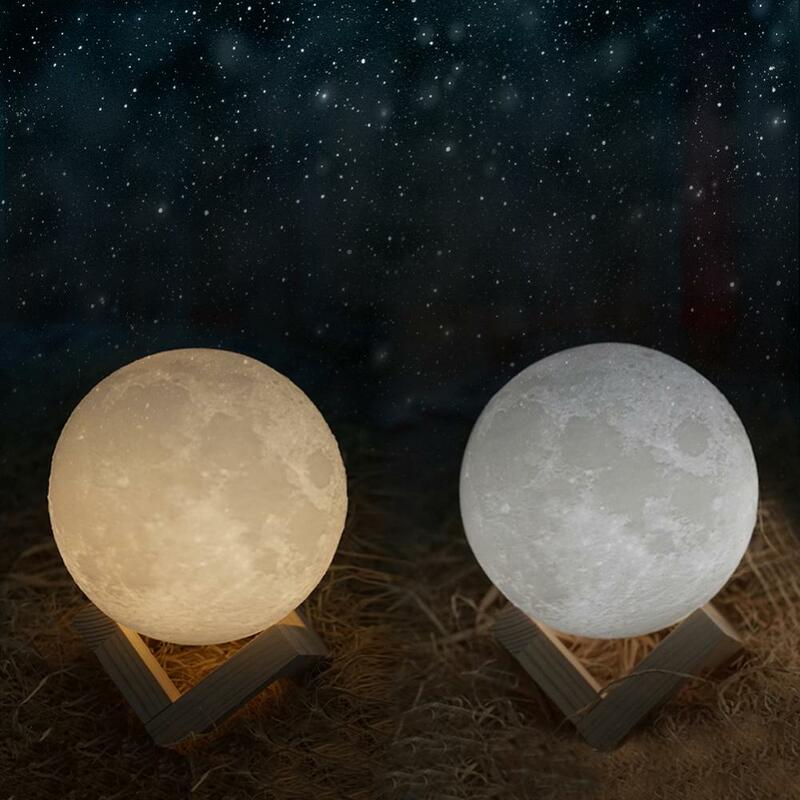 Multi-purpose:Perfect decor for your lovely home and all kinds of festivals,special choice for photography and particular gift for night care. 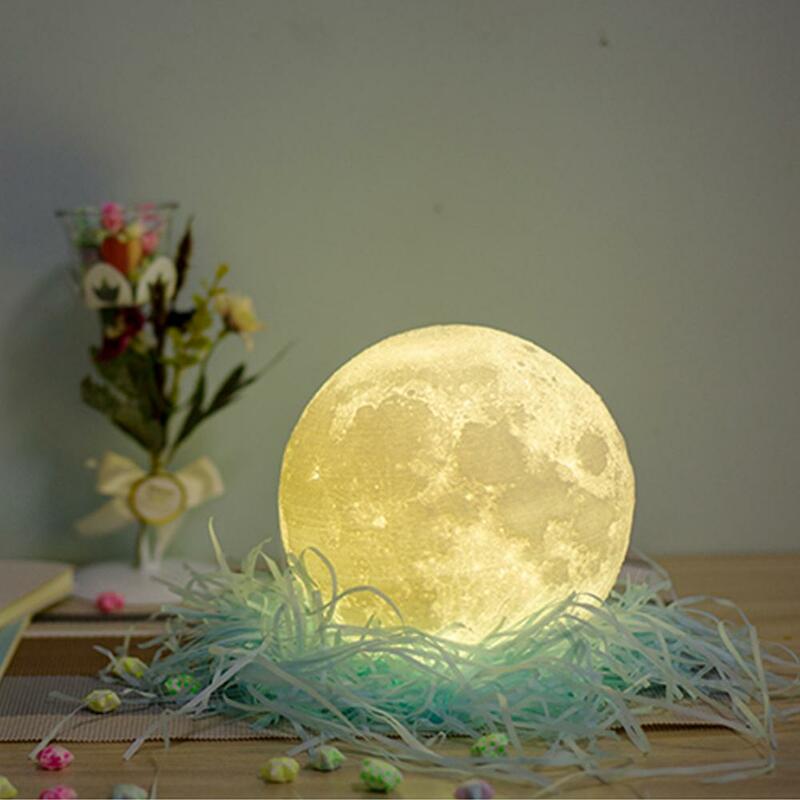 Please enjoy this shining beautiful moon lamp at all occasions. 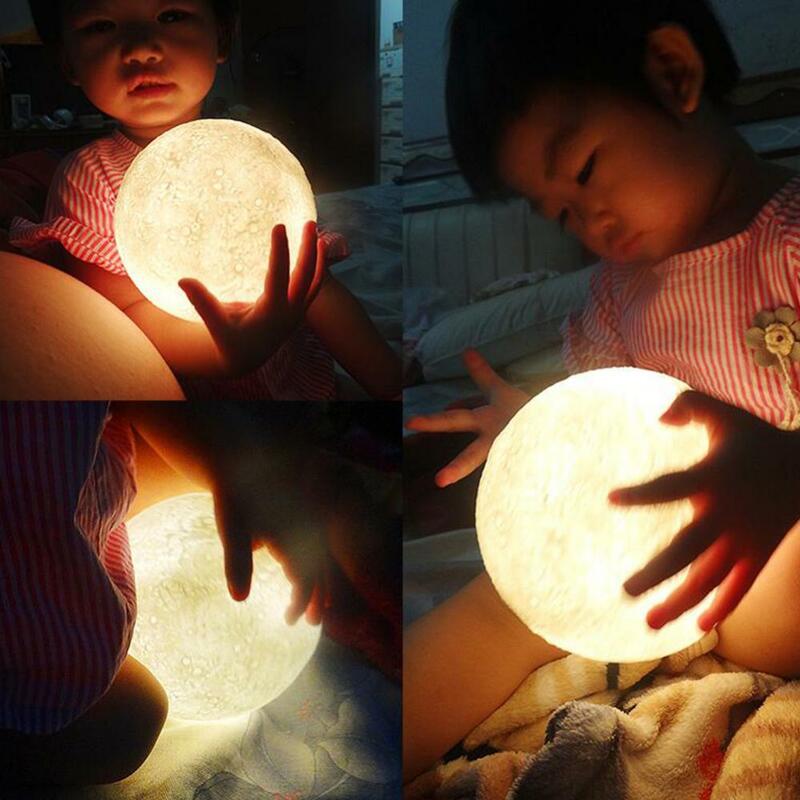 This moon lamp can be night light to help to appease your baby or ensure your family no hurt at night. 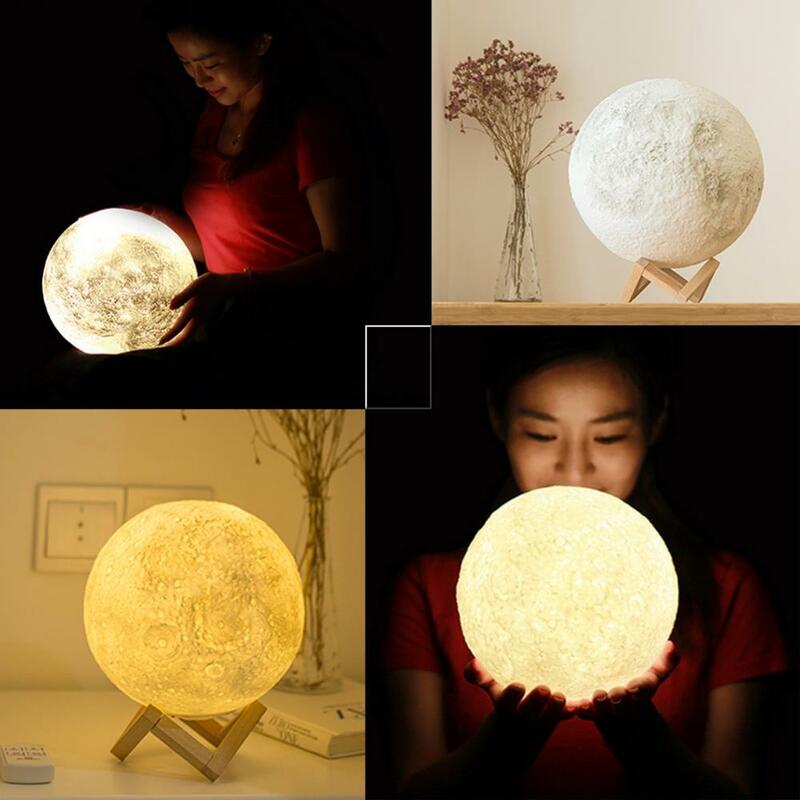 You may need the moon lamp for photo on your FB or INS that this is special partner for photographs will surprise your friend. Any question or problem please do not hesitate to CONTACT US,we hope to get your 100% satisfaction.